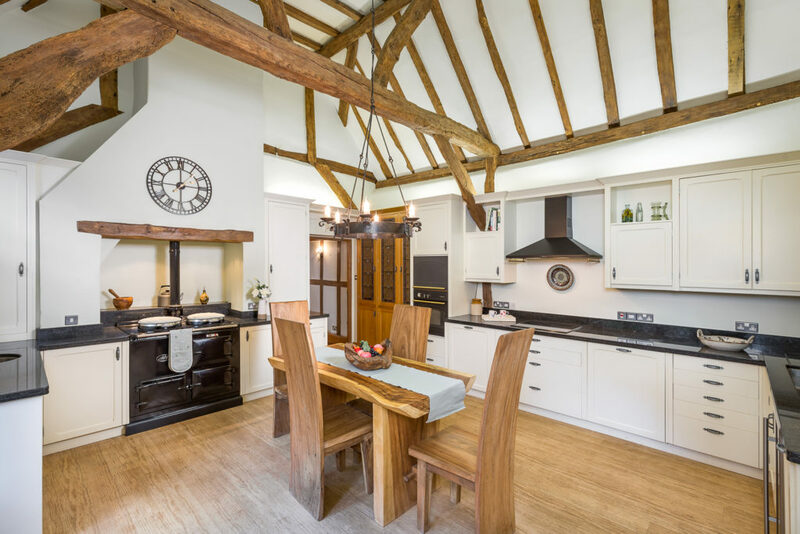 The Old Court is a beautiful period property, set back from the High Street to offer an oasis of historic character and quiet charm, in easy reach of Cranleigh’s many amenities. 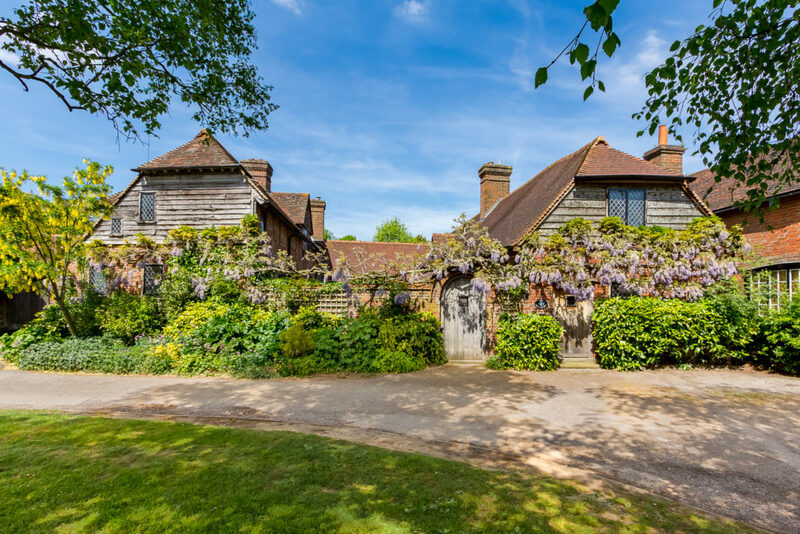 Coming through the arched oak gate from the attractive green and footpath, one enters the calm of the pretty wisteria and flower-filled courtyard, complete with ornamental fish-pond. 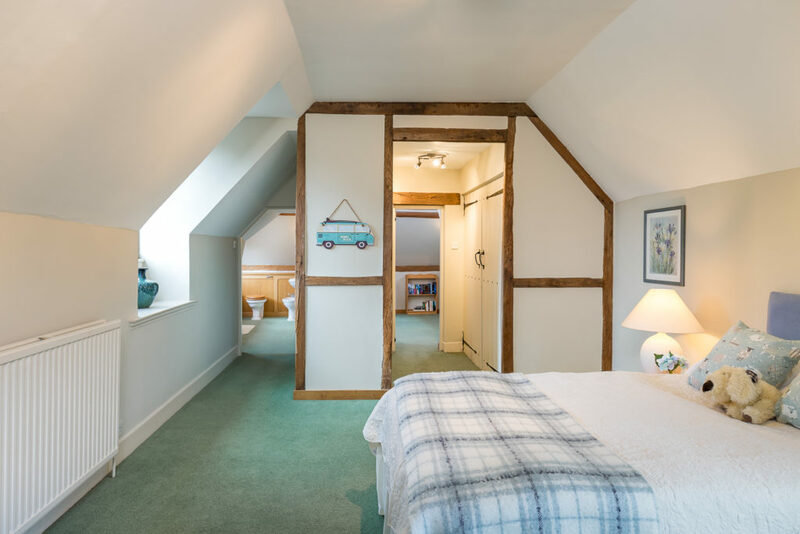 Ranged around three sides of the courtyard, the house dates back in parts to the 17th and 18th centuries, with high ceilings and impressive oak beams reflecting its past lives as a threshing barn, hayloft and stables. 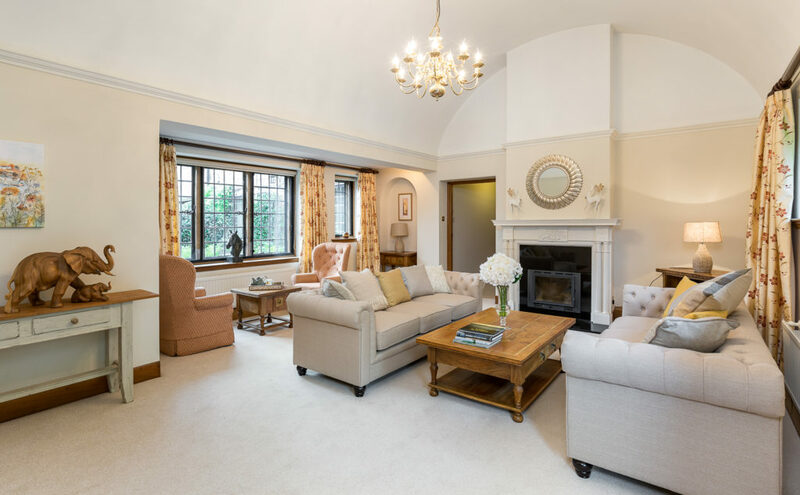 Contemporary design and modern features have been sensitively combined to complement these period characteristics, and the property has been freshly re-carpeted and re-painted in all principal reception rooms and bedrooms. 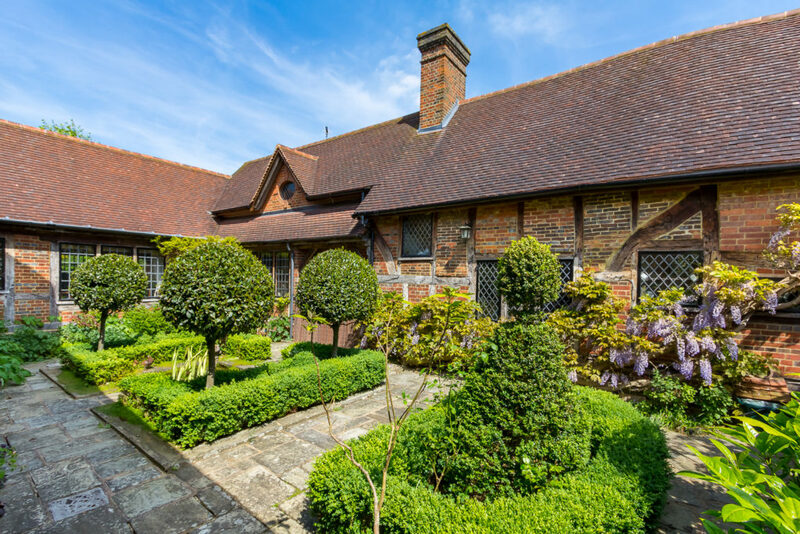 From the courtyard, an entrance porch leads to the galleried and beamed kitchen, with double-oven Aga, solid oak granite-top units and stained glass display cabinets. 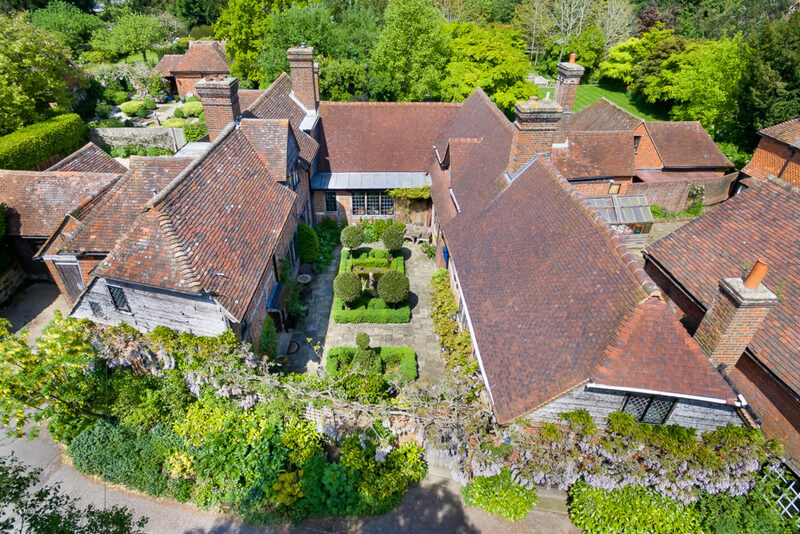 Adjoining is the spacious, oak-beamed dining-room, which overlooks the courtyard, and in turn leads to the family-room with log-burner, feature beams (thought to have been taken a hundred years ago from Cranleigh’s last windmill), and a French door onto the delightful terrace and extensive rear gardens. 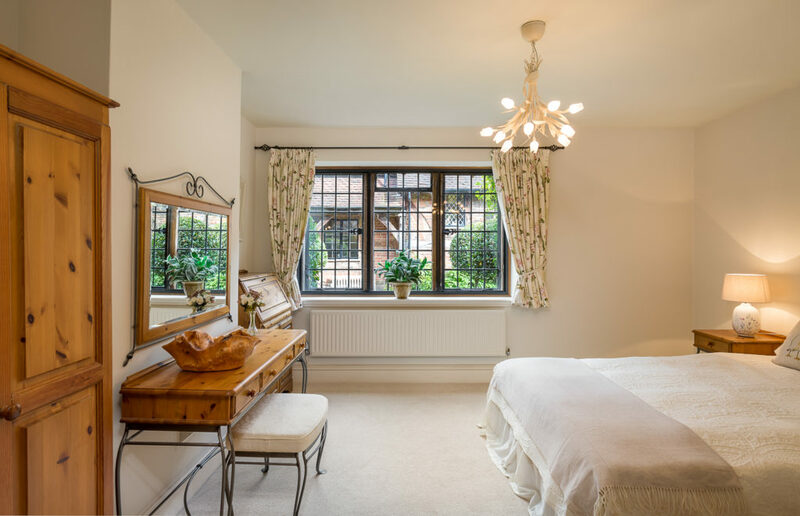 The adjacent master bedroom suite enjoys colourful garden views, with double French doors to the terrace. 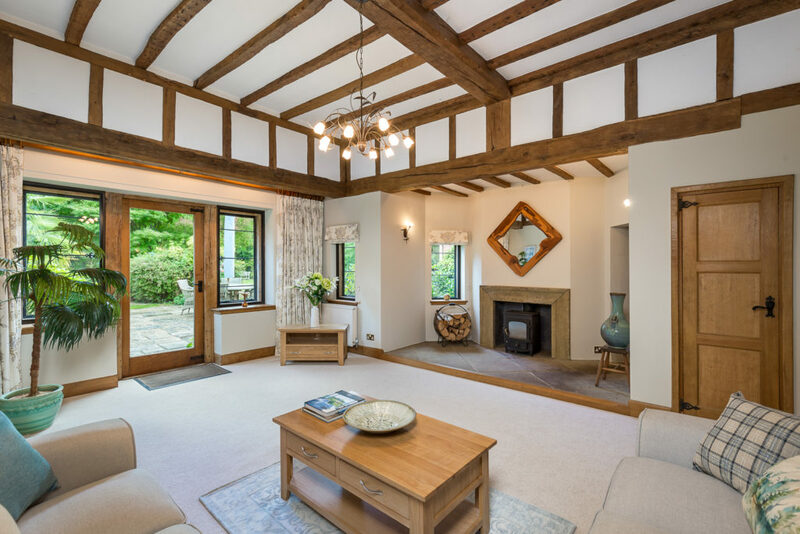 Next door to the family-room, the barrel-vaulted drawing-room also benefits from a log-burning stove, and is dual aspect, with a picture window overlooking the courtyard, and a glazed door onto the garden terrace. 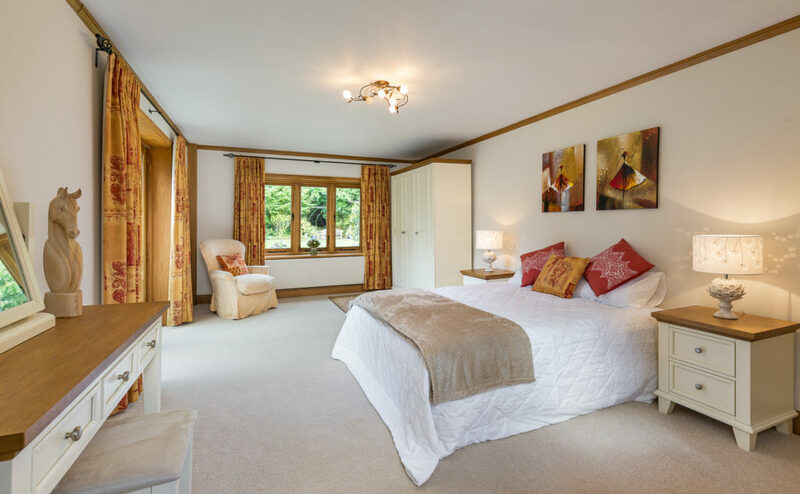 This room connects to the third ‘wing’ of the house, where a well fitted bedroom suite, guest bedroom, shower room, and a second kitchen with dining area (which could easily be converted into an extra bedroom if preferred) create the option of independent living space for multi-generational families. 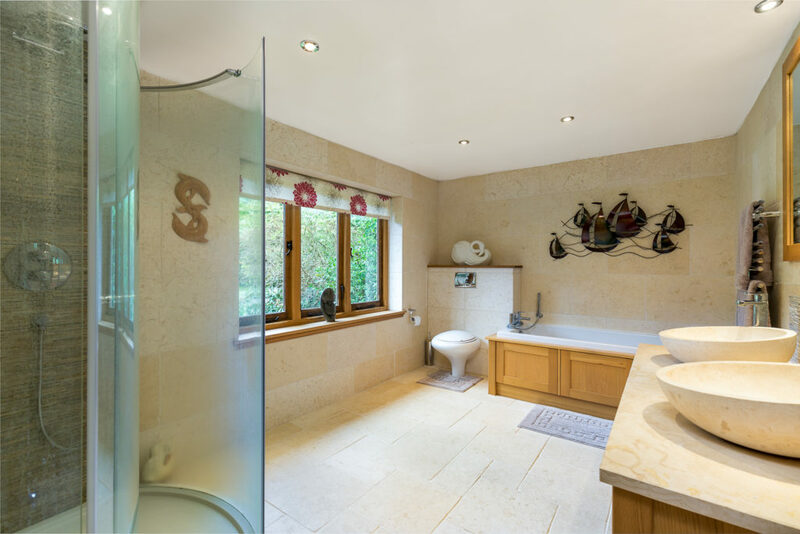 Further flexibility is provided by the spacious self-contained 1-2 bedroom guest apartment on the first floor. 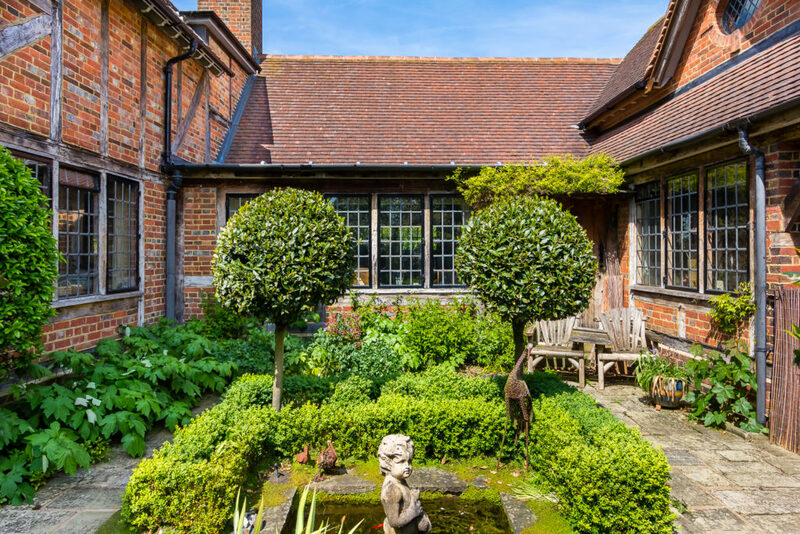 The property is centred around a picturesque courtyard garden with ornamental box hedges and bay trees, a fish-pond and seating areas. 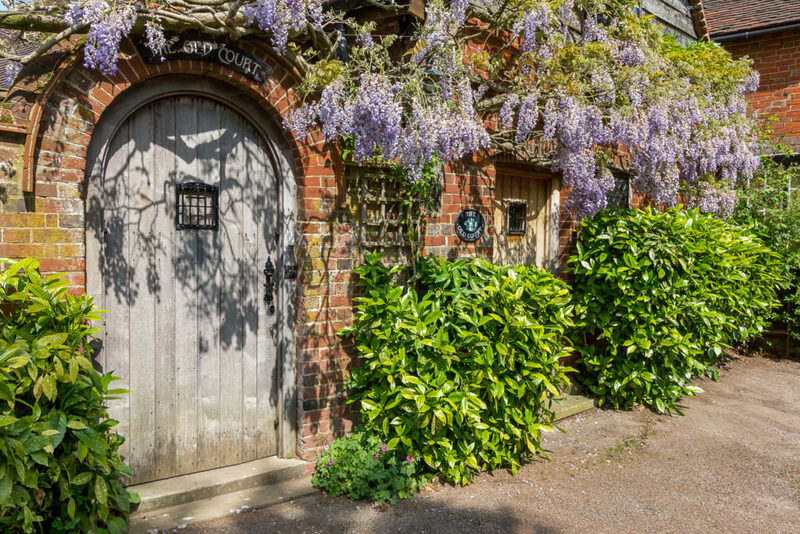 A magnificent wisteria climbs from the courtyard to create a magnificent display across the entire frontage of the house. 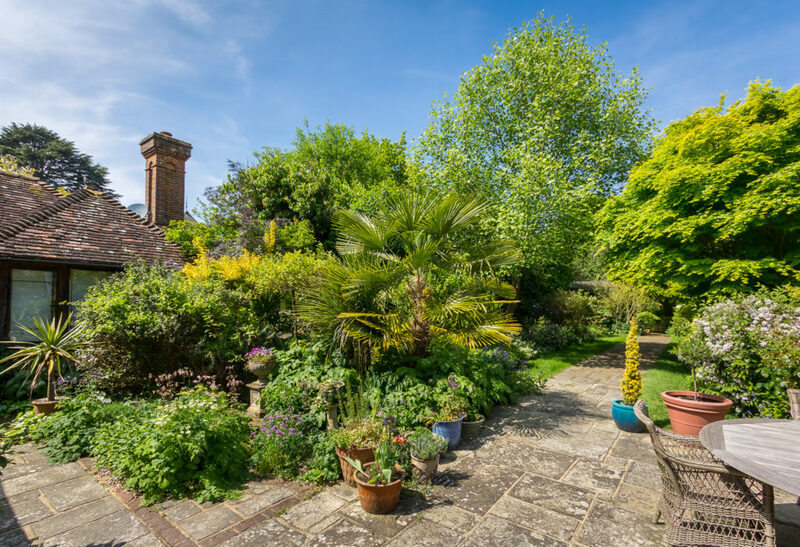 The rear gardens are spacious, peaceful and beautifully landscaped, creating quiet and private surroundings, which are not overlooked by neighbours on any side. 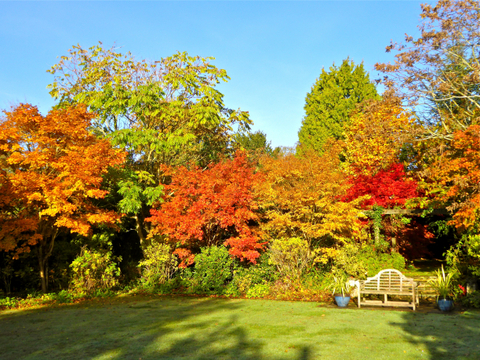 Herbaceous borders are filled with an extensive and colourful array of plants, including spectacular rhododendrons and azaleas and a variety of mature specimen trees, with several magnificent acers providing a blaze of autumn colour. 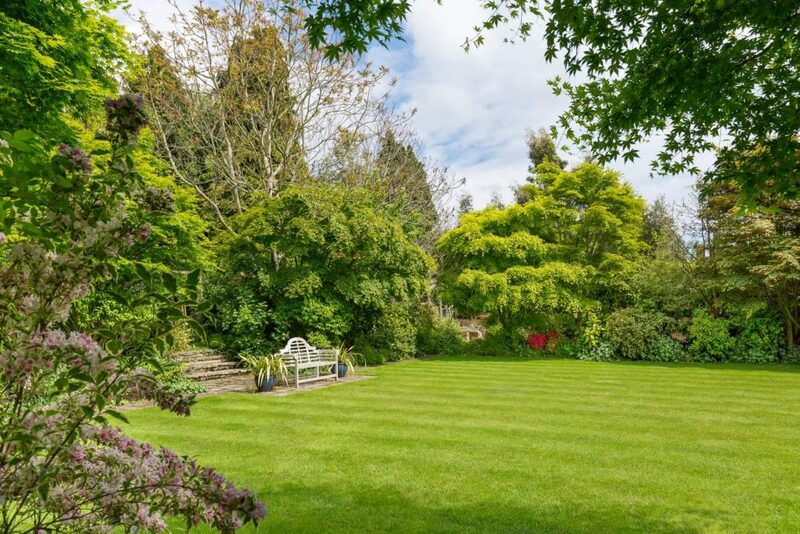 Abundant apple, pear and plum trees, strawberry plants, an asparagus bed and herb garden add to the garden’s appeal. 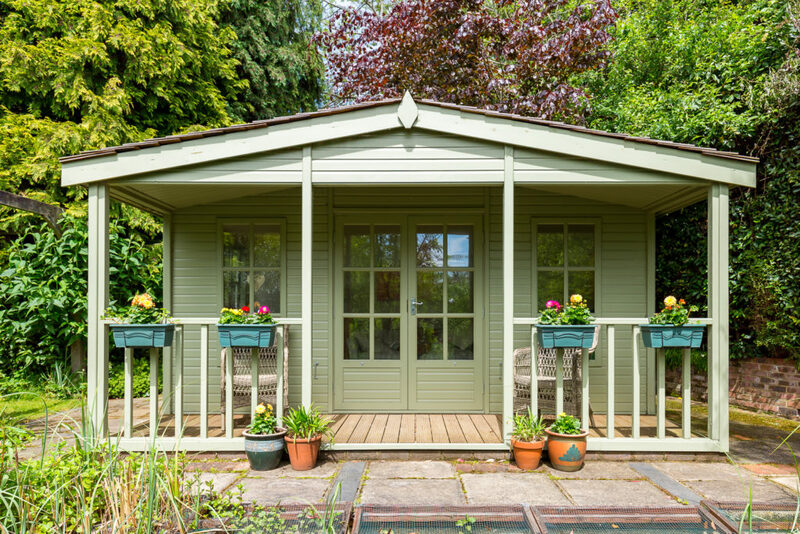 A summerhouse with a veranda overlooking an ornamental pond is discreetly tucked away, and has electricity to enable year round use. 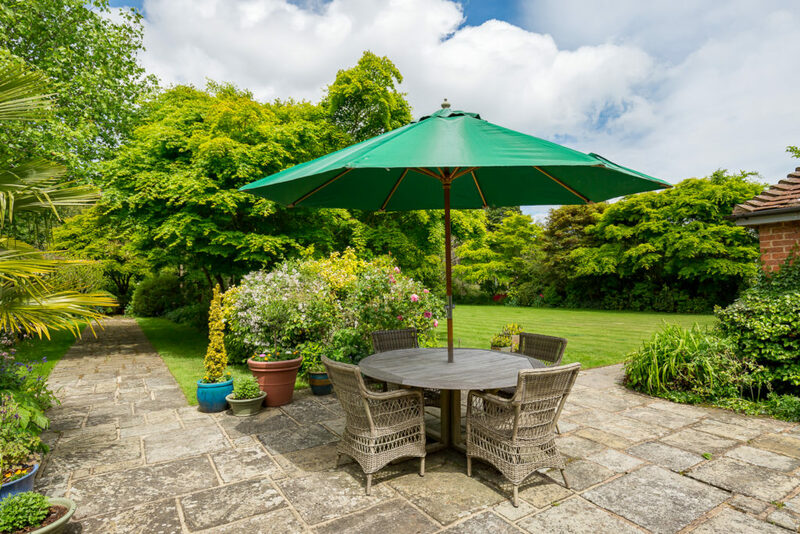 A rear terrace extends from the property to the gardens, and there is a further raised and covered barbecue and entertaining area to the far left hand side. The single garage has the option of additional parking behind, along with further private off-street parking for 2 – 3 cars to the front of the property. 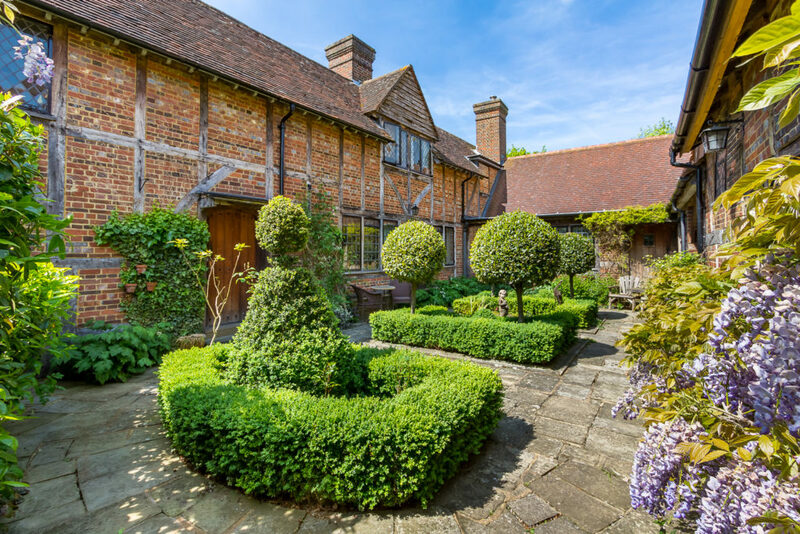 The Old Court is situated in the charming location of Cranleigh, claimed by locals to be “the largest village in England”, with period buildings throughout, notably St Nicolas Church, dating back to the 14th century. 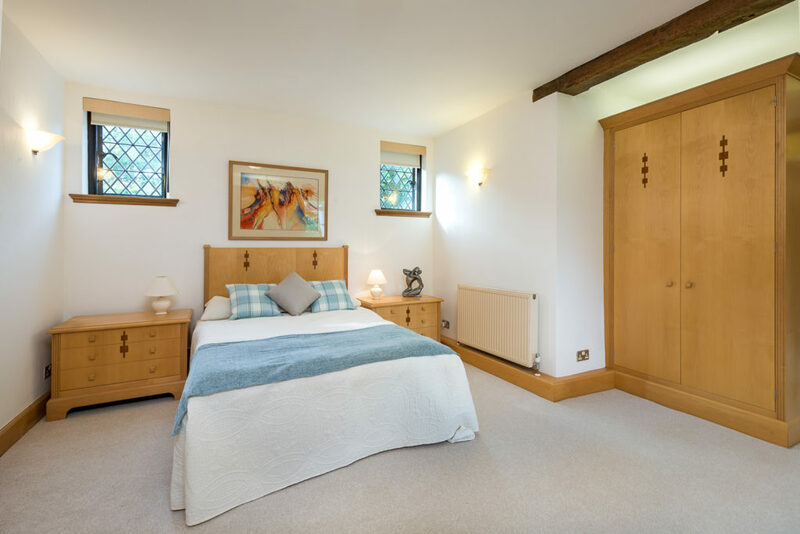 The Old Court is perfectly placed, within easy access of the village centre, yet in a quiet and peaceful setting. 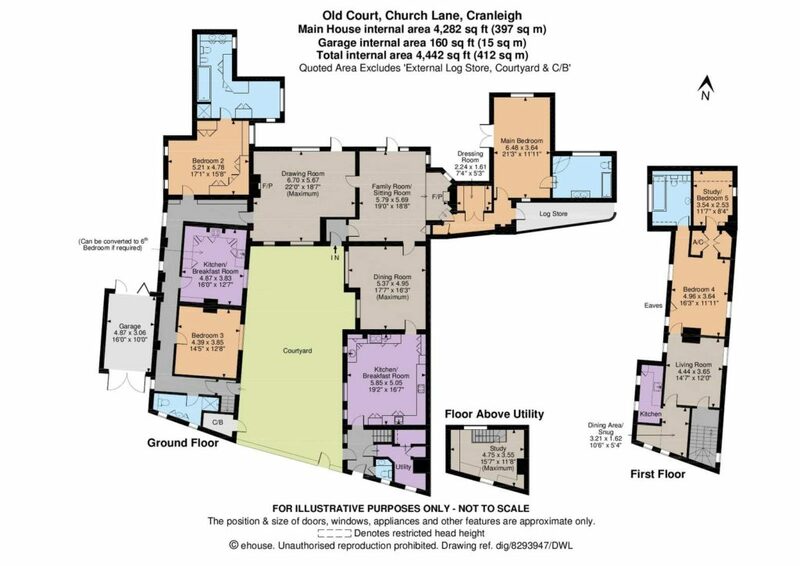 Cranleigh has an excellent range of high street and individual shops including Sainsbury’s, Co-Op and M&S Simply Food supermarkets, restaurants, coffee shops and country pubs, plus a vibrant weekly market. 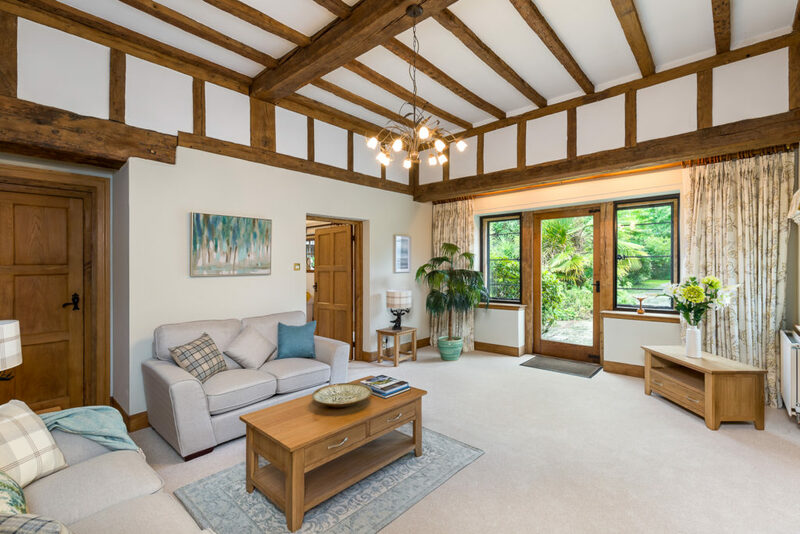 Other amenities within an easy walk include an excellent Sports & Leisure Centre with indoor pool and gym, the library, Health Centre and Cranleigh Arts Centre. 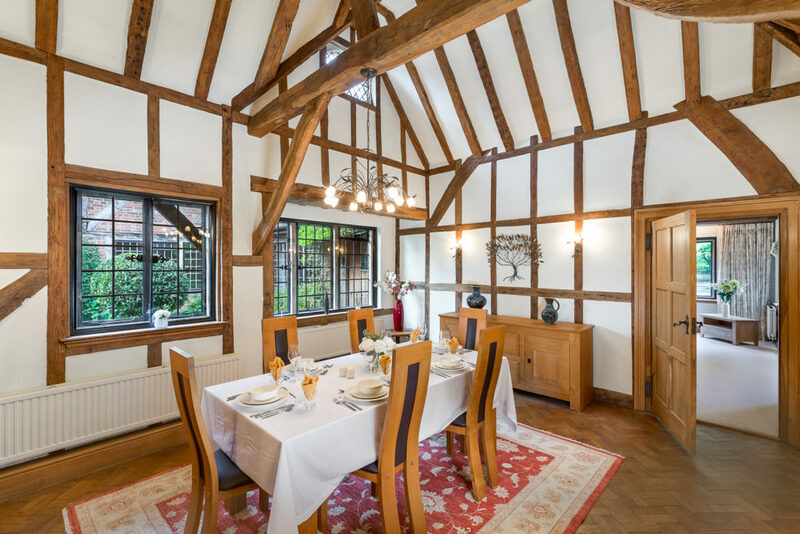 The Old Court is a historic 5 bedroom period property, set back from the High Street to offer an oasis of period character and quiet charm, in a convenient location for Cranleigh’s many amenities.